Finding the right moving and storage company is one of the most important aspects of a move. You need a team that is honest, reliable, and one that will treat your possessions with the utmost care. My Guys Moving & Storage in Virginia Beach is that team. We are a family-owned and operated business in Virginia Beach, and we love being a part of the Hampton, Virginia community. 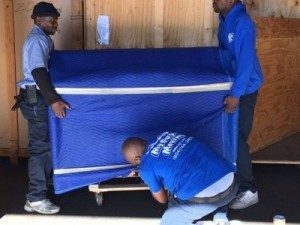 We have more than 25 years of moving and storage experience in the Virginia Beach area and we use all of it to serve the customer. Whether you’ve got a long-distance or international move coming up, My Guys Moving & Storage can help. We provide ample storage space for those who need a safe place to store belongings. We have the size and space to accommodate almost any long or short-term storage needs in our climate-controlled warehouse in Richmond, VA.
Hampton is one of the major cities in the Hampton Roads metro area in Virginia. Hampton’s rich history begins with Old Point Comfort, which was named by 17th-century voyagers and has been the home of Fort Monroe for almost 400 years. Today, Hampton is a hub of important business, industrial enterprises, educational centers and historic sites. Hampton University was established after the Civil War and is one of the nations most well-known HBCUs. The city is also home to Langley Air Force Base and the NASA Langley Research Center. The new Peninsula Town Center features a wide array of retail shops, housing and other attractions as well. My Guys Moving & Storage is dedicated to providing a stress-free moving experience to everybody in the Virginia Beach area. If you are moving to or from Hampton, fill out our online form for a free quote. 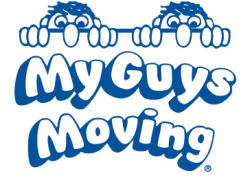 My Guys Moving & Storage is proud to serve all customers in the following zip codes: 23605, 23630, 23651, 23661, 23662, 23663, 23664, 23665, 23666, 23667, 23668, 23669, 23670, 23681.